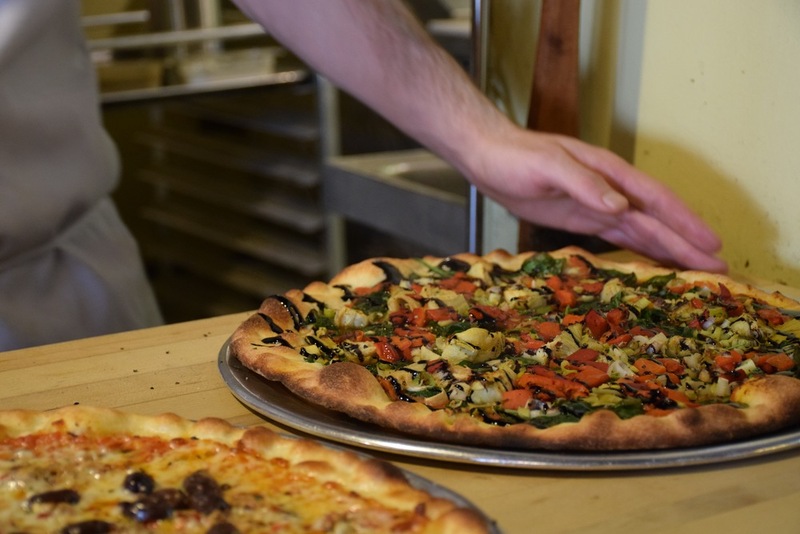 Iggies was founded upon the notion that great pizza relies upon fresh ingredients and the utmost respect in the handling of them. 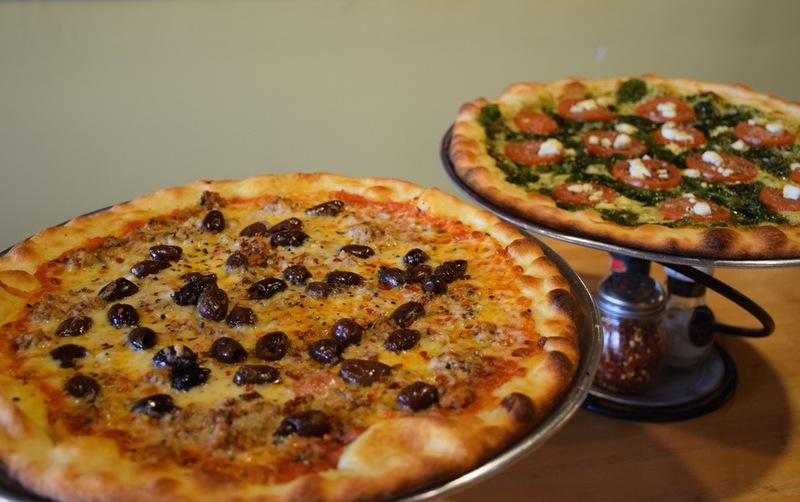 We use only imported '00' flour, bottled water and fresh yeast in our dough and 100% D.O.P. San Marzano tomatoes in our 'ragu'. 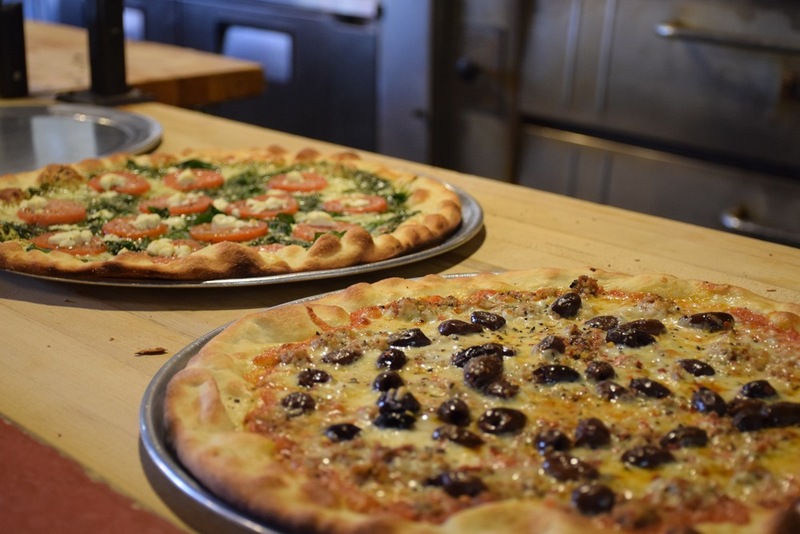 Our toppings are prepared fresh daily; we even make our own mozzarella, ricotta and gelato! 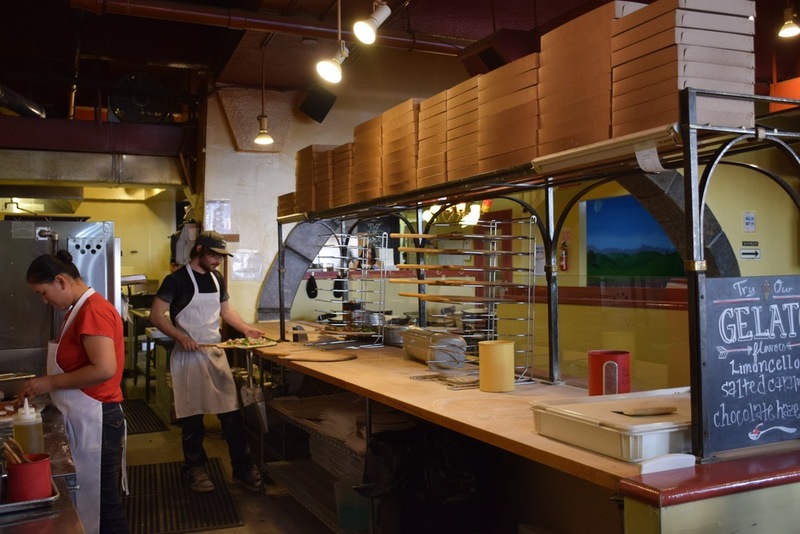 Each pizza is crafted to order, by hand, and cooked at high temperature in the Napoli style. 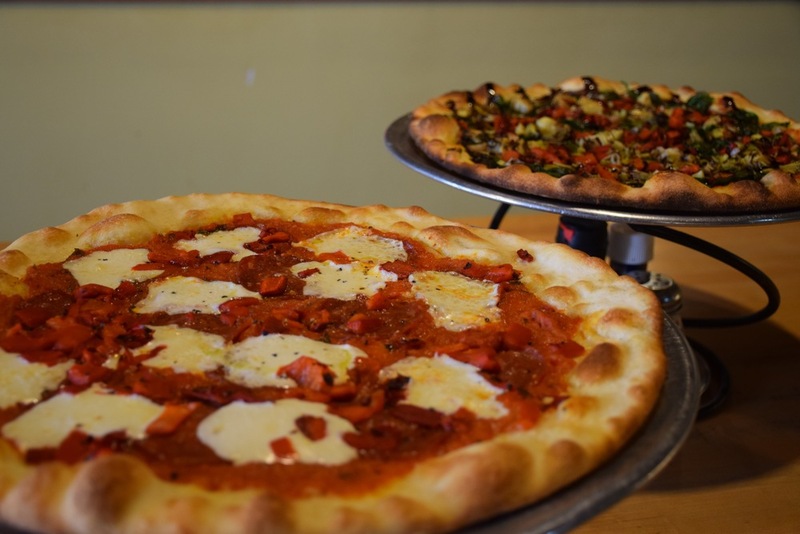 While others may make their pizza faster or cheaper, we think excellence is a goal worth pursuing, even in pizza. basil pesto, mozzarella, fresh tomato, garlic, spinich, goat cheese, parmigiana. spicy sausage, tomato ragu, mozzarella, asiago, fontina, parmigiana, black olives, hot peppers. (Bindi Gelato averages half the fat content per serving than the average ice cream, allowing flavors to shine through. Gelato is slow churned, the result is thicker texture that heightens the flavor sensation. Alternative Directions, Inc. (ADI), a Baltimore-based statewide 501(c)(3) nonprofit organization established in 1979, helps men and women in prison and those leaving prison become independent, responsible citizens. We provide civil legal pro-se services to those in prison and comprehensive case management to those returning to their communities. ADI also educates the public and policy makers about the barriers former prisoners face when reentering society. In response to the need for community-based transition programs for women, ADI entered into a cooperative relationship with the State of Maryland, Department of Public Safety and Correctional Services, Division of Corrections, to provide comprehensive transitional services in the correctional facility and after care services in the community. Alternative Directions, Inc. (ADI) is a statewide organization that helps men and women both in prison and leaving prison to become independent responsible citizens. We provide civil legal pro se serves to those in prison, comprehensive case management to those returning to their communities, and assistance with family reunification. ADI also educates the public and policy makers about the barriers former inmates face when reentering society. 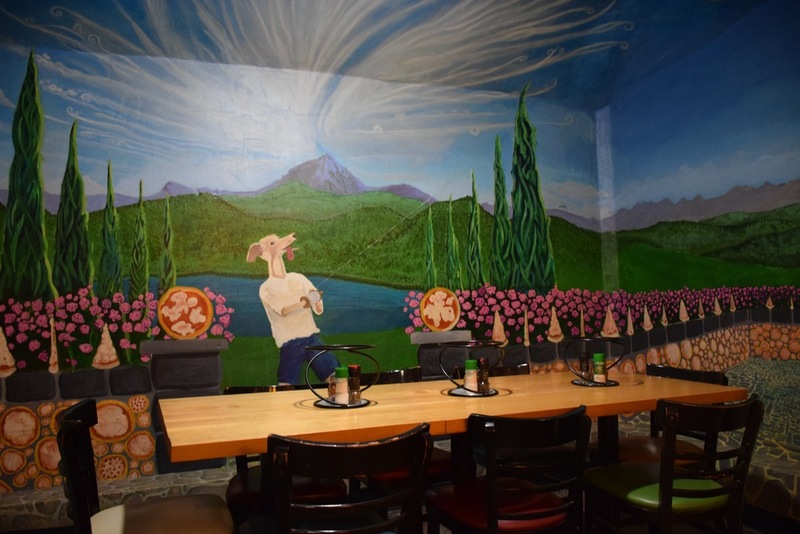 Special events such as birthday parties, company parties, graduation parties, new year parties, retirement parties, wedding rehearsal dinner parties and other parties are welcome. WE WELCOME YOU WITH ANY IDEAS! Gift Certificates are available in any amount at Iggies. Upon request, the Gift Certificate can be mailed out through certified mail. It’s the ultimate comfort food, and we’ll tell you where to find the best. Given the staggering array of gourmet toppings at this hip and wildly popular BYOB hole in the wall—everything from artichoke pesto and pistachios to roasted duck—the best way to experience Iggies is to bring lots of friends so that you can share several of the brick-oven, artisanal, thin-crust pies, available in small ($6.95-9.95) and large ($12.95-16.95) sizes. The delicate, toothsome crust is judiciously topped with primo ingredients like house-made mozzarella, San Marzano tomatoes, Castelvetrano olives, and fresh vegetables. Eat in, carry out, or opt for Take n' Bake, a ready-made pie you finish in the oven at home. Looking for part time or full time position at Iggies as a cashier or line cook?